Arambag (also spelt Arambagh) is a town with a municipality in Hooghly district in the state of West Bengal, India. It is the headquarters of Arambag subdivision. Arambag is located at 22.88°N 87.78°E﻿ / 22.88; 87.78. It has an average elevation of 15 metres (118 feet). 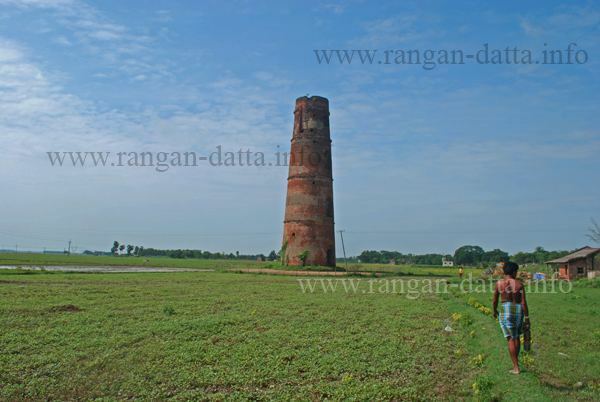 The town is situated on the link Road (state highway-2) 81 km north-west of Kolkata. It is located on the bank of the Dwarakeswar River. As per 2011 Census of India Arambag had a total population of 66,175 of which 33,443 (51%) were males and 32,732 (49%) were females. Population below 6 years was 6,522. The total number of literates in Arambag was 48,338 (81.03 % of the population over 6 years). As of 2001 India census, Arambag had a population of 66,175. Males constitute 62% of the population and females 38%. Arambag has an average literacy rate of 82%, higher than the national average of 59.5%; with 79% male literacy and 58% of female literacy. 17% of the population is under 6 years of age. Arambagh police station has jurisdiction over Arambag municipal area and Arambagh CD Block. The headquarters of Arambagh CD Block are located at Arambag. The maximum temperature during summer rises up to 42 °C(2016) while minimum temperature during winter comes down to 8 °C. Average annual rainfall is 1600 millimetres. This is a rice and potato agricultural area with several rice mills and cold storages. Prafulla Chandra Sen – Freedom fighter, Chief Minister of W.B. Two government sponsored public libraries are situated in Arambagh. Raja Rammohan Roy Pathagar-o- Sanskriti Parishad is the oldest and most popular library of this area. Another library is Arambag Sub Divisional library. Besides these two, there are many other public libraries in the surrounding area.